Visita Canadá/Visa de Turista - Canada Immigration and Visa Information. Canadian Immigration Services and Free Online Evaluation. Once a visit visa has been issued, the applicant may land in Canada. At the port of entry an immigration officer will question the applicant to ensure admissibility. A visitor means a person who is lawfully in Canada, or seeks to come into Canada for a temporary purpose (such as work, study or visit) and who is not a Canadian citizen, permanent resident or the holder of a minister’s permit. Every visitor, unless exempted, must apply for and obtain a visa before appearing at a Port of Entry (POE). All visitors who are required to obtain a visa must be in possession of the visa when they appear at a POE. First Step: The foreign national must first submit a visit visa application to the responsible Canadian visa office in the country or region where they reside. At this time, the applicant may need to attend an interview where the visa officer will verify the applicant’s reasons for visiting Canada, the applicant’s ability or willingness to leave Canada within the visa validity date and the applicant’s overall admissibility to Canada. Second Step: Once a visit visa has been issued, the applicant may land in Canada. At the port of entry an immigration officer will question the applicant to ensure admissibility. 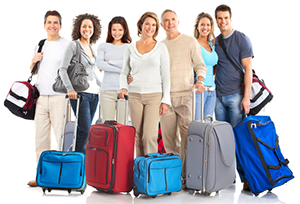 A visitor visa may be for single entry or multiple entry use. Single entry visas may be issued up to six months before the expected date of travel. The maximum validity date for multiple entry visitor visas is up to five (5) years or one month prior to the expiry date on the passport/re-entry visa, whichever is earlier. POE officers will routinely grant entry for a period of six months to a person requesting entry as a visitor. 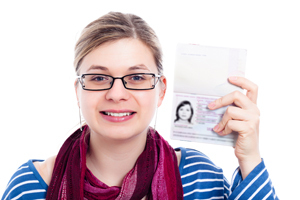 A foreign national who has an immigrant visa already in process is not prohibited from applying for a temporary resident visa. These dates are subject to change. Visit this website in spring 2013 to confirm when this will take effect for you. Citizens of British dependent territories: You do not need a visa to visit or transit in Canada if you are a citizen of a British dependent territory who derives their citizenship through birth, descent, registration or naturalization in one of the British dependent territories of Anguilla, Bermuda, British Virgin Islands, Cayman Islands, Falkland Islands, Gibraltar, Montserrat, Pitcairn, St. Helena or the Turks and Caicos Islands. British National (Overseas): You do not need a visa to visit or transit in Canada if you hold a British National (Overseas) passport issued by the United Kingdom to persons born, naturalized or registered in Hong Kong. British Subjects: You do not need a visa to visit or transit in Canada if you hold a British Subject passport issued by the United Kingdom which contains the observation that the holder has the right of abode in the United Kingdom. Hong Kong Special Administrative Region: You do not need a visa to visit or transit in Canada if you hold a valid and subsisting Special Administrative Region passport issued by the Hong Kong Special Administrative Region of the People’s Republic of China. Holy See: You do not need a visa to visit or transit in Canada if you hold a passport or travel document issued by the Holy See. Taiwan: You do not need a visa to visit or transit in Canada if you hold an ordinary passport issued by the Ministry of Foreign Affairs in Taiwan that includes your personal identification number. Israel: You do not need a visa to visit or transit in Canada if you hold a national Israeli passport. Lithuania: You do not need a visa to visit or transit in Canada if you hold a biometric passport (e-passport) issued by Lithuania. Poland: You do not need a visa to visit or transit in Canada if you hold a biometric passport (e-passport) issued by Poland.